Is it snowing in Alta ?¡Gracias! 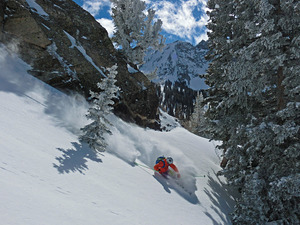 Alta in the United States (Utah State) is a large resort with 13 lifts (8 chair lifts, 5 surface lifts) that offers skiers an impressive 615 metres (2019 feet) of vertical descent. 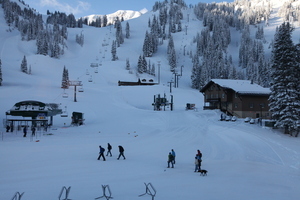 Alta has 2200 acres of terrain over 250 trails. 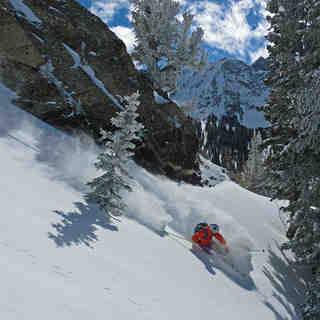 Alta is best suited to intermediate skiers but there is also some terrain for beginners and advanced skiers. Alta is one of three resorts in the world where there is a total ban on snowboarding. There are 5 kilometers (3.1 miles) of cross country ski trails at Alta. A small proportion of the trails at Alta are covered by snowmaking. The nearest airport is at Salt Lake City and the nearest train station to Alta is at Salt Lake City. There is accommodation located close to the pistes but we would welcome additional information about any hotels or chalets in Alta. I've been coming to Alta for over 20 years. It's a skiers paradise. 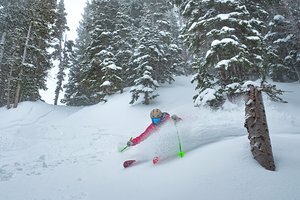 Today was a powder day. I am happy that there are no boarders, but I am also disappointed in the skiers who throw things at the very nice employees who board backdrop Snowbird. They do not cause a problem really. The Peruvian is hot. Two outdoor hot tubs and one warm swimming pool, also outdoors. Not ski out, but experts can ski back, and the walk is not bad, and shuttle to the base is fine. Lively bar scene, and a movie every night. Who cares if there's no nightlife.